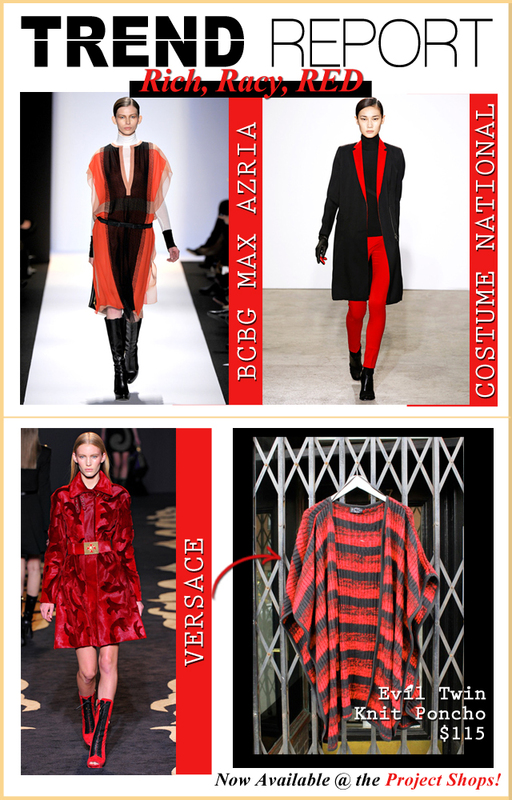 Trend Report -Rich, Racy, RED! This bold, fierce color is the HOTTEST color for Fall – the fiery color brings heat to any ensemble. Make it dramatic and wear loose red layers over sleek black tights and a skinny scarf. Check out this hot poncho from the Evil Twin clothing line, now at Project Shops! 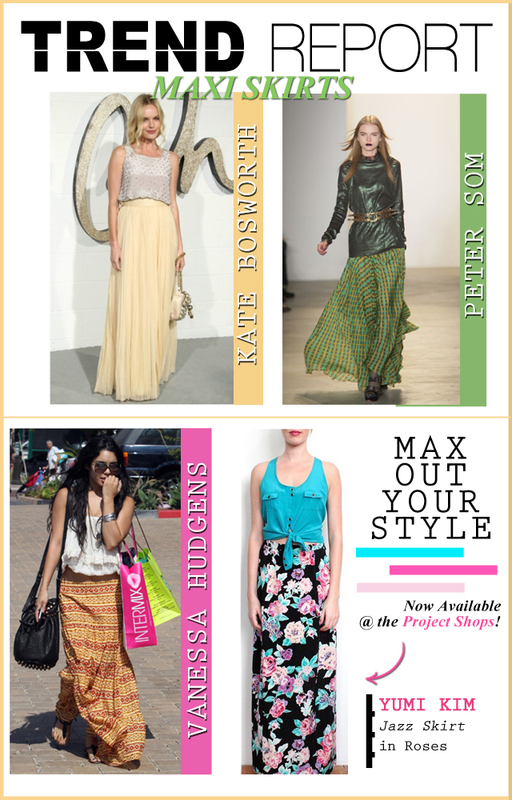 Trend Report – MAX Skirts! Seems like everything is being taken to the MAX this season, and that includes SKIRTS! Super easy to wear, pair a maxi skirt with a simple tank or crop top and be sure to load up on accessories. Play up this trend by choosing one with a bold print, like the Yumi Kim Jazz Skirt in Roses print! 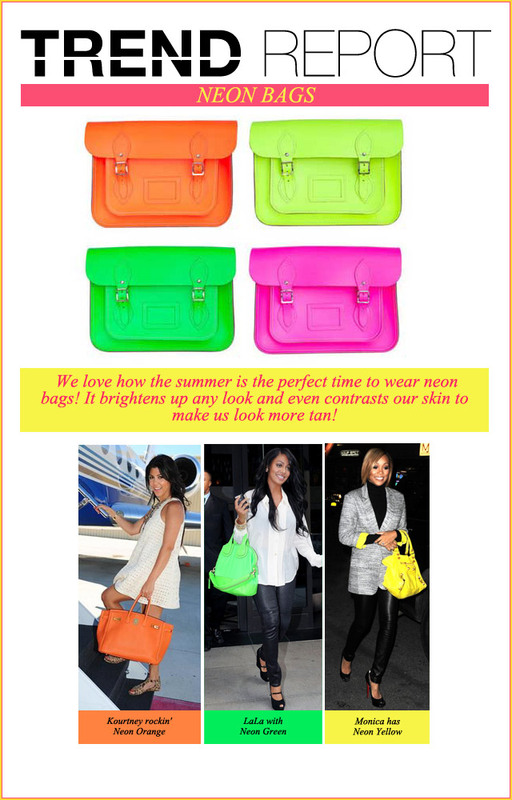 in the Spring’s hottest color-blocking trend. A little wary of an overly saturated ensemble? now available at Project Shops! 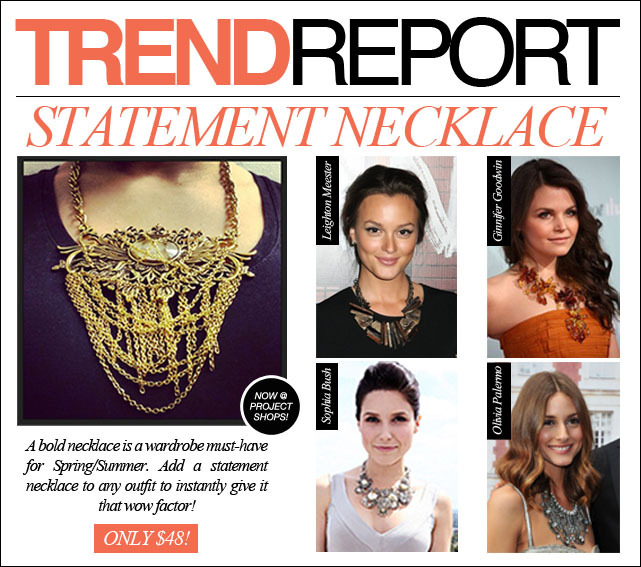 MAKE A STATEMENT with Tribal necklaces! Statement necklaces of the tribal variety are a surprisingly easy accessory trend to try as they can instantly pull together any look: pair one with a cocktail dress for a night out or look equally chic pairing the same necklace with a simple t-shirt and jeans outfit. For this trend, bigger and bolder is better!